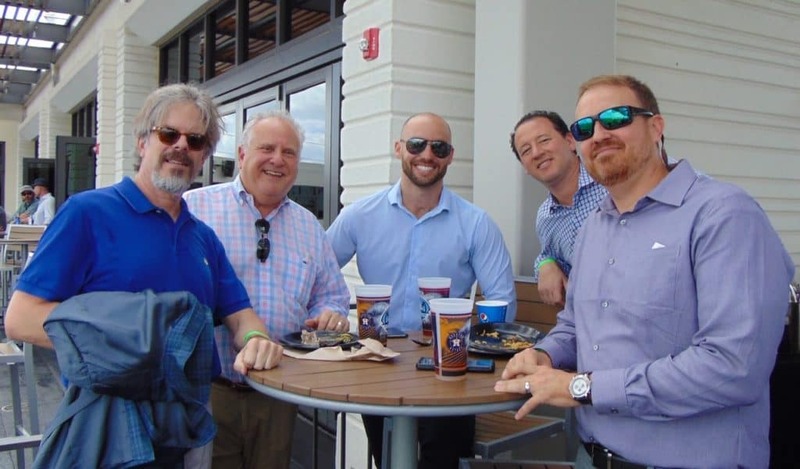 The Florida CCIM’s Chapter’s East Coast District filled the stands recently when they welcomed CCIM Designees, associate members, guests, and affiliates to their third annual day the ballpark. 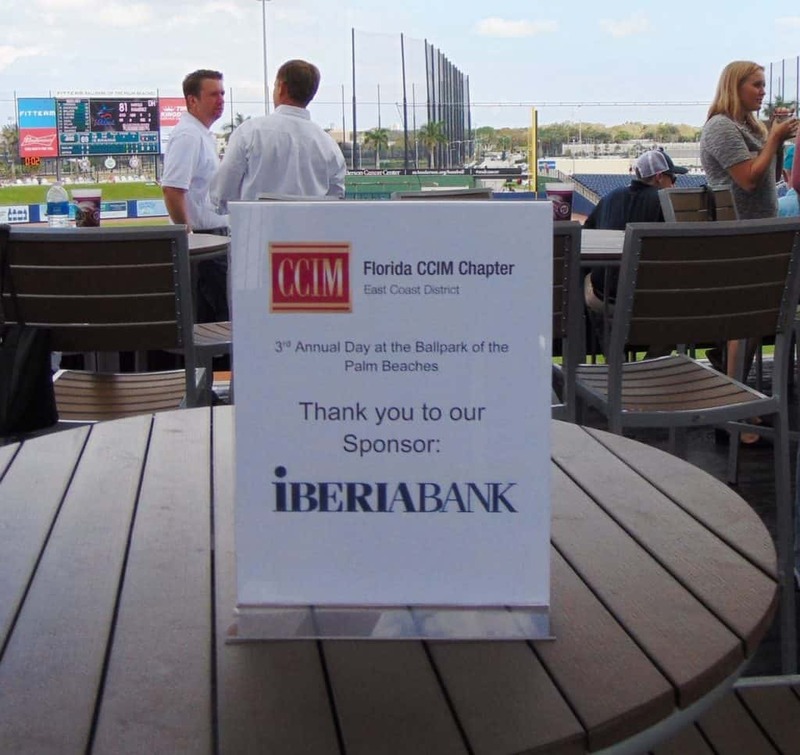 The event was sponsored by Iberia Bank, the CCIM 3rd Annual Day at the FITTEAM Ballpark of the Palm Beaches was held at the Haverhill Road complex in West Palm Beach on Thursday, February 28th. 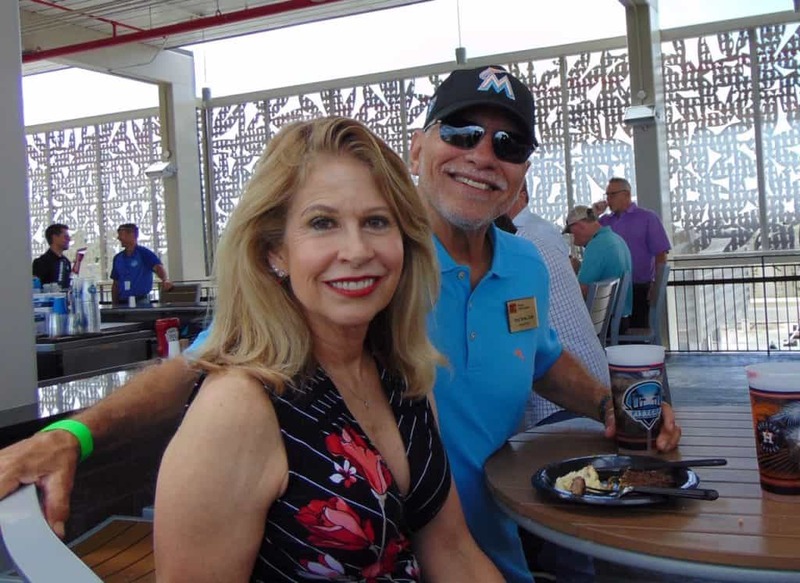 Attendees enjoyed the 1:05 PM Game on the Party Desk and watched the Marlins play the Astros. 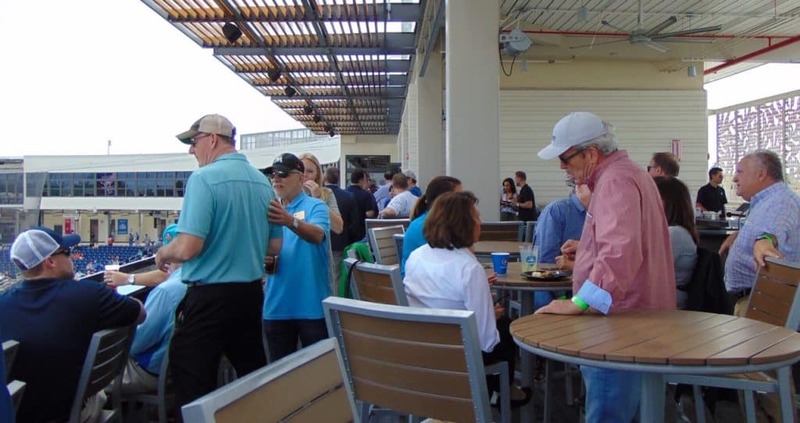 Th event included admission and a fully catered lunch on the private party deck. 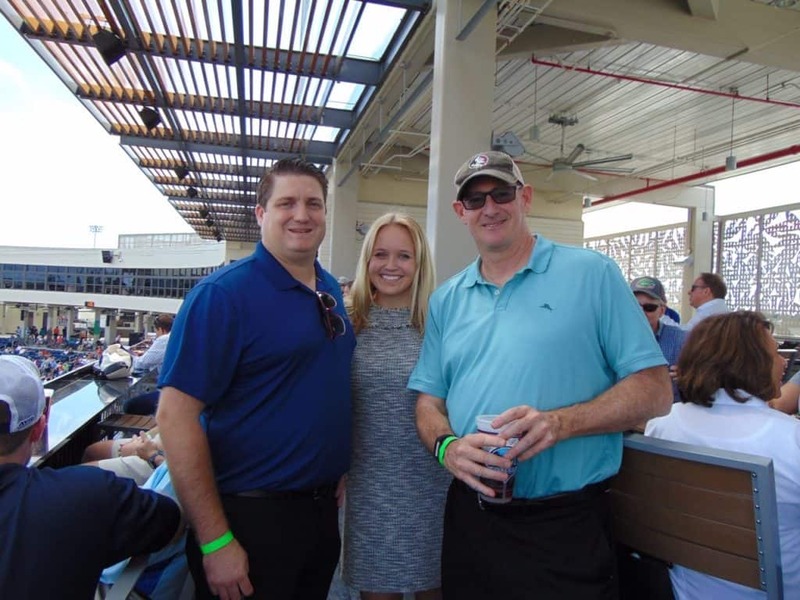 “It was a great day at the ballfields, and we had 75 in attendance for our event,” shared Blair Lee, President of Lighthouse Realty Services, Inc. in Palm Beach Gardens. 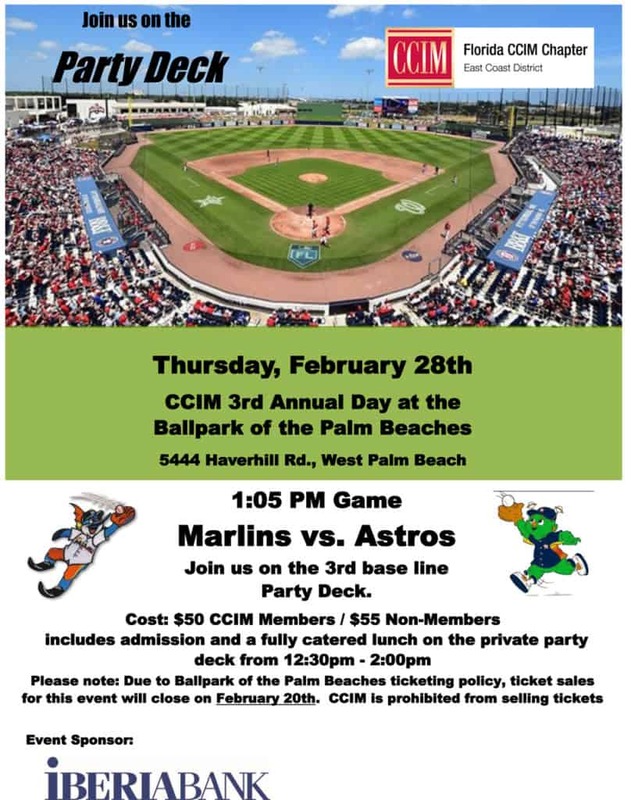 The CCIM District has been with the FITTEAM Ballpark of the Palm Beaches from its beginning. 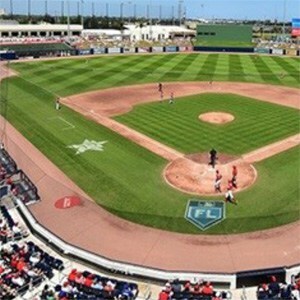 The ballpark is a unique and newer baseball park located in West Palm Beach. The stadium has a capacity of 6,500 people in fixed seats with room for 1,000 more on the outfield berm. The stadium hosts the Houston Astros and Washington Nationals Major League Baseball teams annually for spring training. 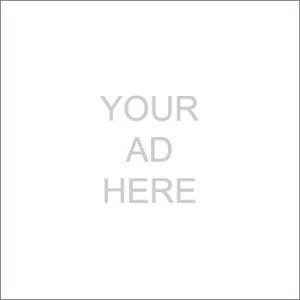 It also hosts the Gulf Coast League Astros and the Gulf Coast League Nationals of the Rookie-level Gulf Coast League. In addition to the stadium itself, the complex provides separate spring training facilities for the two teams. Each team has two major-league-size practice fields, four-minor-league-size practice fields, an agility field, a half field, batting cages, and pitching mounds. The Astros’ training facilities are on the north and northeast side of the complex and their offices are behind the stadium’s left-field corner, while the Nationals’ facilities are on the south and southeast side with offices behind home plate. The MLB economic impact to Florida in 2018 was just under $700mm; not to mention FL benefits from the economic hit annually, and then some. At a localized level, the training facility which operates year-round, hosts events of all kinds. The Nationals purchased an office building and its nearing completion for the repurposed used as a hotel, plus the overall social impact sports and recreation provides our community. Fit Team has partnered with other sports and recreation events in our community.